It's easy to kick someone when she's down, so let's start with Carly Fiorina's positive attributes. To her credit, she is not one to leave "well enough" alone. Fiorina arrived at Hewlett Packard in 1999 after a successful career at Lucent and AT&T - mostly in sales and marketing. Even before she moved into the CEO's office, she had several obstacles to overcome. Being female was the least among them. Her biggest problem was that she was an outsider, not only because she had never worked for HP but also because, unlike the company's founders, she was a marketer, not an engineer. 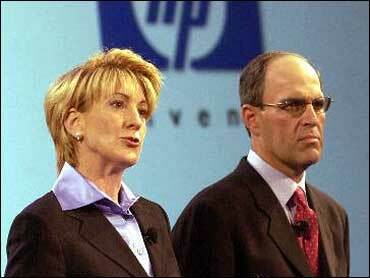 Fiorina took over HP at the height - or perhaps the beginning of the decline - of the tech boom. Making money in technology the past five years has been a lot harder than it was during the late 90s. Fiorina knew - or at least believed - that HP had to make some serious changes. She had a vision and she wasn't afraid to sell it to others. And sell she did, spearheading the initiative to acquire Compaq Computer, despite the objections of the son of company co-founder William Hewlett and many other stockholders. Much has been said about how Fiorina strayed from the "HP Way." The old HP was very collegial with open offices, open collars and open lines of communications between management and employees. Some have suggested that co-founders William Hewlett and David Packard would have frowned at Fiorina's management style and, perhaps they would have. But the late Mr. Hewlett and Mr. Packard and Ms. Fiorina do have one thing in common. They were all risk-takers. "I don't know if they would have taken the same risks," said Rosalie Dickey, a former HP chemical engineer who retired in 1986, "but they, like she, were willing to take risks." As per the HP Way, Dickey says that it was "waning before I retired," but she acknowledges that it got worse over time. "The company is so big, it's hard." When looking at a company, it's important to realize that its health and vitality is not stuck in a steady state. Lately, HP has been under fire for lackluster revenues and failed strategies. When the Compaq merger was being debated and shortly after it was tumultuously approved by just a slight majority of stockholders, Fiorina was seen by many as a disruptive force, bent on turning two viable companies an unwieldy monster. Indeed, I was one of many commentators who editorialized against the merger, pointing out that it would be bad for employees, bad for retailers (who would have fewer competing products to carry), bad for consumers and, ultimately, bad for stockholders. It would be easy to gloat, but it's also fair to point out that HP had some pretty good quarters after the merger causing me and lots of other one-time critics to pipe down a bit. Still, there is plenty to criticize about Fiorina's tenure at HP. At this point, the changes that Fiorina made didn't turn out so well for the thousands of Hewlett Packard and Compaq employees that were laid off and the millions of HP stockholders who lost equity since she took over. HP stock is worth less today than it was in 1999. Dell and IBM stock has increased in value. I guess the changes didn't work out too well for Ms. Fiorina either. Though based on her $21 million severance package and her generous compensation while employed at HP, I doubt very much that she's worried about making ends meet. Looking back, it now appears that Fiorina was trying to make HP all things to all people. On the PC side, she tried to compete with Dell's low-cost commodity strategy while on the higher-end she tried to compete with IBM's high-end, high-cost consulting and custom services business. While HP was a contender in both sides of the spectrum; it didn't truly succeed at either. Some have suggested that HP should abandon its PC business to focus more on its printer business that was doing well long before Fiorina took over. HP dropped the ball when it came to innovation. Shortly after taking the helm, Fiorina changed HP's slogan to "invent." It's a cool idea that reflected her continued support for R&D and HP's terrific research staff, but whatever inventions HP came up with simply were not inspiring enough to change the company's fate. Compare this to Apple, which was also in trouble in the late 90s. Under Steve Jobs' leadership, Apple didn't just invent new computers; it invented a new industry with its iTunes service and iPod digital music player. HP wound up licensing the iPod, which, I suppose was better than coming up with its own "me too" knock off of it. Speaking of knock offs, HP tried to follow Dell and Gateway by marketing its own line of TVs and other home entertainment products. Gateway had the sense to pull out of that business when it realized it couldn't compete. It's too early to know how either Dell or HP will do, but, for a struggling company, it may turn out to be more of a diversion than a new birth. It's now up to HP's board of directors to figure out where to go from here. With some wisdom and luck, the company will settle on a CEO that has roots in HP's past along with a vision for HP's future. It has always been and still is a great company. Perhaps, over time, HP may once again find its "Way."